When whatever you’re shipping is too large in quantity, size, or weight to be handled by the postal service, your best option for getting it from one place to another is using freight. Freight carriers specialize in shipping anything heavier than 100 lbs, or anything that would take up too much room in a standard delivery vehicle. Freight can be shipped by land, air, rail, sea or any combination of the aforementioned. When shipping over 8000 lbs of goods, you can typically either ship it in a dedicated container or in several smaller shipments containing other loads. Shipping in smaller groups is typically cheaper but actual price depends on what you’re shipping and how. If the items you are shipping are fragile it’s your responsibility to take proper precautions and make sure your items are adequately protected. Everything should be appropriately boxed, crated, or packed, to ensure item safety. Packages should all be labeled and addressed and positioned at truck bed level for pick up, about 3-4 ft off the ground. If you cannot lift heavy items to this level, consider reserving a truck with a hydraulic gate. It’s also important to remember that truck drivers are almost always paid exclusively to do only that: drive. However, most drivers with respectable companies will be glad to help you lift or load smaller packages onto their truck. Still, it is the responsibility of the shipping and receiving party to have hands available to help load or unload freight, especially if it’s something that cannot be easily moved by one person. If you need materials and products moved in the Mid-Atlantic region, contact Evan Transportation. We hire professional drivers with excellent driving records, and maintain a fleet of trailers and vehicles that are reliable and ready to roll and are a top-notch freight provider with high-level customer service and a track record of dedication and industry excellence. When you have freight that needs to be shipped, one truck doesn’t always fit all freight. 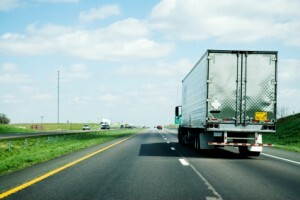 There are several tractor trailer options available for freight transportation. Some freight items don’t need any extra care during transportation, while food and other freight items might require specific temperatures during transportation. Other items may be too large to fit in one tractor trailer versus another. Before you transport your freight, you must first observe the items you are shipping. Based on your freight, you can then make an educated decision about which tractor trailer to use in your situation. Box Truck- This tractor trailer option is commonly used when transporting furniture, large boxes, and large appliances. 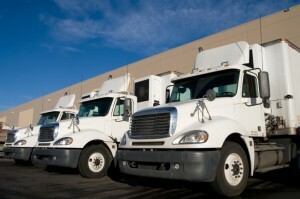 Furniture companies favor these types of trucks that come in a variety of sizes. The cargo area is separate from the truck and sits on a frame. Refrigerated Trailer- The trailer of this truck has the ability to be set at a lower temperature than the rest of the truck. The cargo area of the tuck can be cooled by either carbon dioxide agents or a small diesel engine to ensure the freight stays at the appropriate temperature. Flat Bed- The cargo area on a flatbed truck is open and on a completely flat surface. Freight that is larger in size or heavier in weight can be transported by a flat bed, along with freight that can be exposed to varying weather conditions. Semi-Trailer- Normally known as an 18 wheeler, semi-trailers are commonly found on busy highways. This tractor trailer option is used to ship LTL and FTL loads.